In a perfect world, Hunter would be dressed head-to-toe in clothing made with organically grown fibers. Not because our friends and family spent a ton of money purposefully buying us organic cotton clothing but because it's the right thing for baby clothing companies to do. 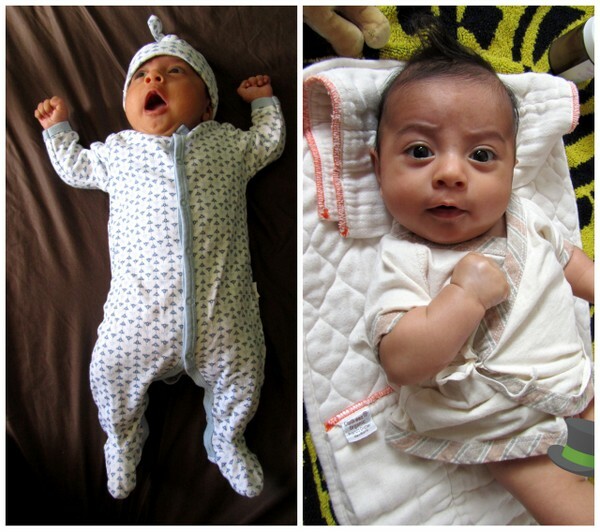 Organic cotton is healthier for babies and it's good for the environment too. Because we did not purchase most of Hunter's clothing AND we are grateful for all the gifts we received for him, both new and gently used, his wardrobe is made up almost entirely of conventionally grown cotton clothing. We do, however, own several organic cotton and wool pieces, both gifts and items we have purchased. 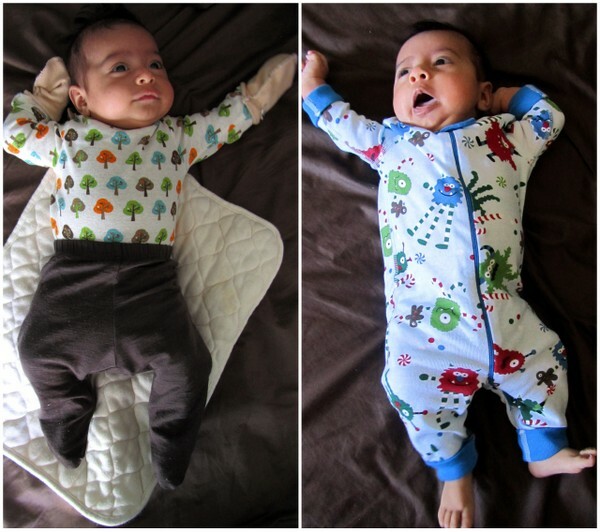 I'm happy to dress him in these items knowing that by doing so we are making an eco-friendly choice. Burt's Bees Baby clothing and skin care. Super soft cotton; gentle, soothing colors and prints. Lapsaky Organics clothing.Kimono tops and gowns, footed pants, and other basics. Made in USA! Hanna Andersson sleepers. Fun prints. Although not all their clothing is certified organic, many of their items are certified by Oeko-Tex Standard 100, which tests for the presence of harmful substances in textiles. For example, the sleepers are made with 100% organic cotton and these "Best Ever First Socks" (the only kind that actually stay on baby's feet) are certified by Oeko-Tex Standard 100.